I am looking a the SolarWinds MP written by Ruben Zimmermann with great interest and can’t wait to try it out. -The only concern I have is that what is the impact of bringing in all of that data into a SCOM environment? My Solarwinds environment has several thousand network devices. Is there a way to select which device data to bring in? DiscoverNPMNodes.ps1 and MonitorNPMNodes.ps1. You will find them in a folder on the ‘monitoringServer’ which have you selected to query the devices. I defined 6 different classes: Switch, CoreSwitch, ArubaController,Router,Firewall, OtherDevice. 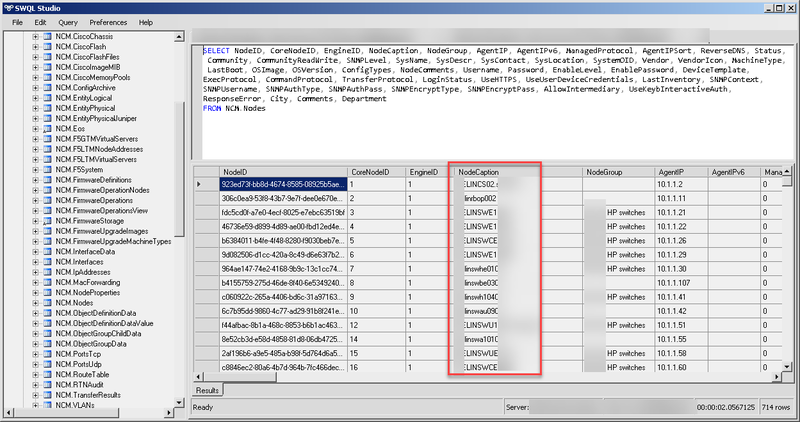 Depending on the naming the devices will be created as objects in SCOM. – It is up to you which ones you use. E.g. I use *SW* for a Switch, *GW* for router (gateway), etc. Presently the modification needs to be made in the PowerShell script for discovery and monitoring. If I have time will make them easier accessible. Ah ok. So if I wanted to be even more granular with my discoveries and pick only certain network devices to discover, would I simply hardcode those names into the discovery script?